We’ve all done it and it feels great, at least in the very moment it does. Impulse buying can be fun, but the fun bit is just momentary and then the guilt creeps in. It wrecks your budget along with your peace of mind, and affects your relationships as well. If you’ve been there, done that and are guilty of it, here are some tips to curb your temptation of overspending and impulse shopping. Start with making a budget. Mention even the minutest of details, including all groceries, toiletries and everything that you would spend on in any given month. Keep a buffer for contingencies. Once you have a budget in place, you need to stick to it. If you’ve seen just the thing you wanted in the display, or fumbled upon it while surfing online, and you need it very badly, don’t buy it right away. Sleep over it. delaying the decision overnight cools off the emotions and lets logic set in. With a fresh perspective in the morning, think again if you really need it. Do not get tempted by offers and deals that’ll last less than 24 hours. If you really need the item, sale will come back. Always make a shopping list whether you are going to the store to shop or are ordering online. Stick to the shopping list. Do not get swayed by temptation. Brand promotions are designed to lead you into temptation. Unsubscribe from promotional emails, get rid of flyers. The minute you pay attention to the offers, you’ll want to check out what’s on sale, one thing will lead to another and you might end up overspending. If you are elated or glum, do not let shopping be the target of your outburst. In either of the cases, you may be prone to overspending just satiate your emotions. You can seriously blow up your budget in an emotional rush. Keep your cards locked away and just carry the cash you need as per the shopping list. Do not have extra money at your dispense. You won’t spend, if you don’t have it. Unless you have a friend whom you can trust to help control your over-spending. 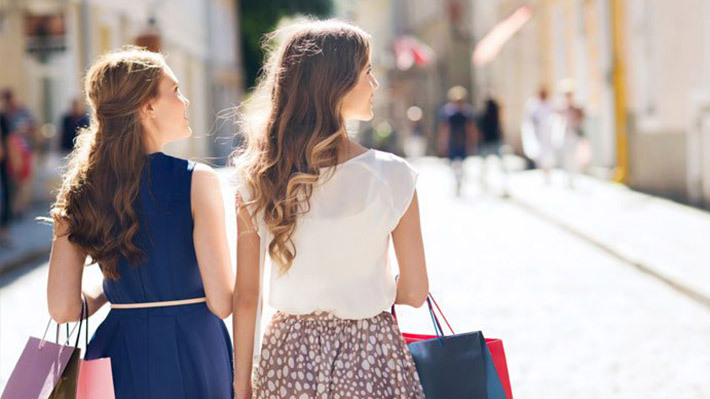 Actually, if you can have a shopping buddy, who can help you with your addiction by restricting your impulse purchases. At the end of the day, all of these tips boil down to will power. You will have to make your will power strong, and only then you can get the most valuable of all things, peace in life!